The Caproni Ca.100 is a single-engine two-seat trainer biplane aircraft produced by the Italian manufacturer Caproni. The Caproni Ca.100 is a development of the de Havilland D.H.60 Moth. 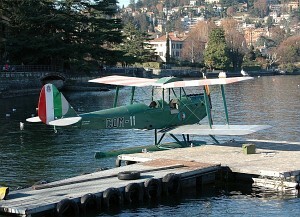 The Ca.100 was also produced by Caproni in Peru and Bulgaria (Kaproni Bulgarski KN-1).